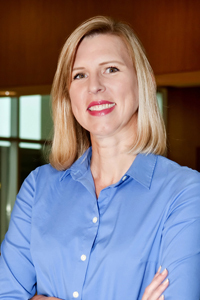 About – Kelli S. Burns, Ph.D.
I’m Kelli S. Burns, an associate professor in the Zimmerman School of Advertising and Mass Communications at the University of South Florida. I joined the faculty at USF in 2006. Previously, I was an instructor and then assistant professor at Elon University for four years and an instructor at Middle Tennessee State University for one year. I received my PhD in mass communication with a specialization in advertising from the University of Florida where I was a presidential fellow; my master’s degree in mass communication from MTSU; and my bachelor’s degree in mathematics from Vanderbilt University. My career experience includes positions in market research and marketing communications. I’m the author of Social Media: A Reference Handbook (2017, ABC-CLIO) and Celeb 2.0: How Social Media Foster our Fascination with Popular Culture (2009, ABC-CLIO). My research has been published in the Journal of Advertising, Journal of New Communications Research, Newspaper Research Journal, the International Journal of Interactive Marketing and Advertising, and as chapter in several books. The courses I teach include undergraduate PR courses (Advanced PR, PR Issues, PR Research, Principles of PR, and PR Writing) and graduate strategic communications courses (Social Media Data & Analytics, Strat Comm Media, Strat Comm Management, Intro to Strat Comm Theory & Research). I have also taught MBA-level courses in both Business Communications and Persuasion and other undergraduate courses such as Principles of Advertising, Organizational Communications, and Media Writing. I am a frequent public speaker and expert source for news stories, particularly on the topic of social media. Please review my media and speaking pages as well as my CV page to learn more about my background and experience.